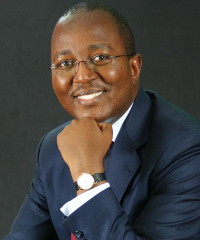 Peter Mwangi is the Group CEO of Old Mutual Kenya, a position he took up in the last quarter of 2014. Prior to this he was the Chief Executive of Nairobi Stock Exchange and an investment manager at Centum. He is a chartered financial analyst who started his career as a lieutenant in the Kenya Air Force. I started my career as a lieutenant in the Kenya Air Force. The military experience was a formative experience for me. I sleep very well at night. That is mainly due to having an excellent team of colleagues whom I trust. They are capable and very determined to run all aspects of our business to very high standards. My boss at Centum, Tony Wainaina, was an excellent leader. He is still my role model. Be prepared to fail, but keep moving forward. Two reasons. The first is hard work. One has to be prepared to put in the hours. And having done that, to be patient. Results don’t usually follow as soon as we would like. I would have to say the military. But I think both business school and on-the-job training have a role. Formal training equips one with the basics of management, but the ‘learning by doing’ is invaluable. I love to walk. There is nothing as relaxing as a nature trail. I also enjoy listening to music. I am not an early bird but am usually in the office by 8:30am. I prefer to work late into the night. I often ask candidates where they see themselves in five years. The answers are often very revealing about a person’s way of thinking about their future. Africa is indeed rising. There is no better place to be. I see huge opportunities over the coming decade. The only limits are our vision and our ambition.